The Southern Region of Texas, also known as the South Texas Plains, is bordered on the south by the Rio Grande River and Mexico. 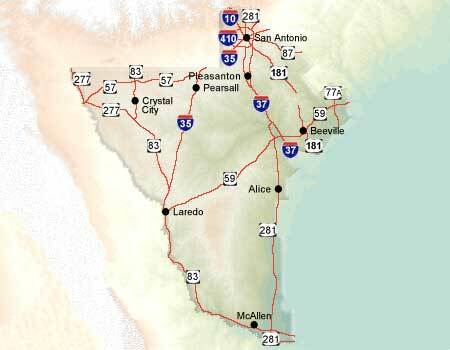 The northern Rio Grande Valley is a popular travel destination during the cold weather months. San Antonio, home of The Alamo, is one of the top travel destinations in America. The city offers many attractions and festivities, as well as first-class accommodations.